Maintaining a clean home doesn’t have to be impossible. 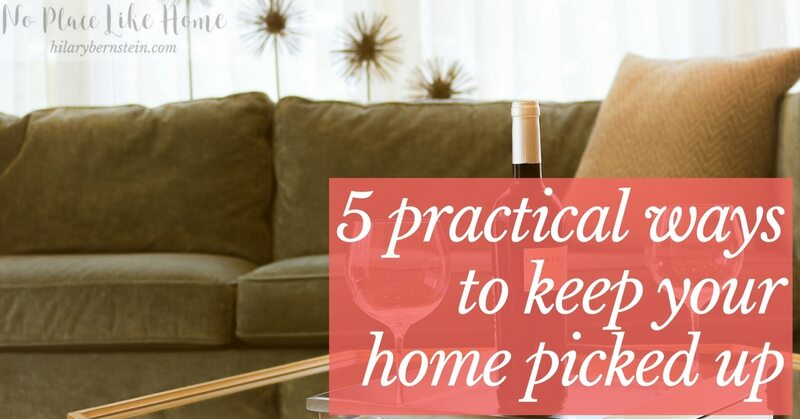 Try these 5 practical ways to keep your home picked up. As a homemaker, there might not be many things that are more frustrating than spending time and energy cleaning your home, only to watch your hard work get destroyed before your eyes. Moms of littles already know this happens all.the.time. And it can seem pretty tempting to just forget about cleaning when it feels useless. While it’s true your clean home won’t stay cleaned forever, refusing to clean just because you’ll need to do it again only is a recipe for a big mess. Believe it or not, maintaining your clean home is easier than starting all of the cleaning from scratch. It’s important to create a workable strategy for maintenance cleaning that will best fit you and your schedule. 1. Put things back where they belong. Remember the old adage, “a place for everything and everything in its place”? That’s one of the best ways to keep your home picked up. 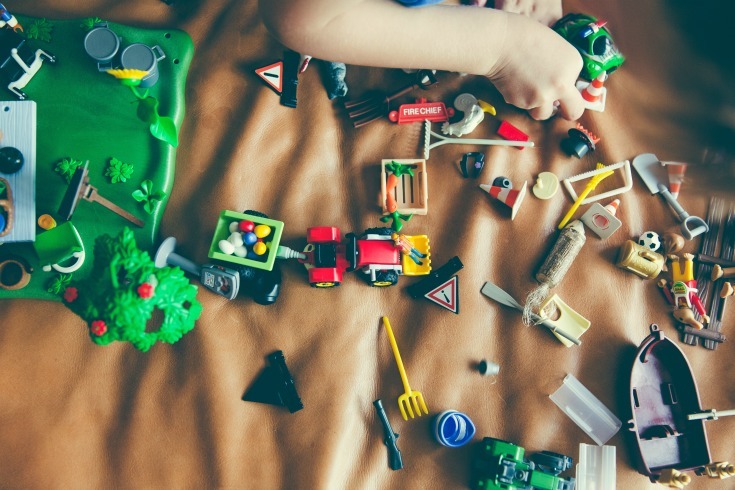 When you were deep cleaning your home, if you created specific places and spaces for your belongings, make sure you put everything back in place when you’re done using it. So often, it’s easy to leave things in a pile, or to let it collect as clutter again. Don’t fall back into those cluttered habits, though. Put things away right away. 2. Set aside a pick-up time each day. One easy way to put things back where they belong is to set a specific time each day for picking up. It doesn’t have to be long – anywhere between 15 minutes and a half an hour should do the trick. Set a timer and clean up as quickly as you can. Since you only need to clean what you’ve gotten out in the past day, your cleaning chores won’t be so time-consuming or difficult. Since I’m not the only one creating a messy home, I make sure my family members help out. 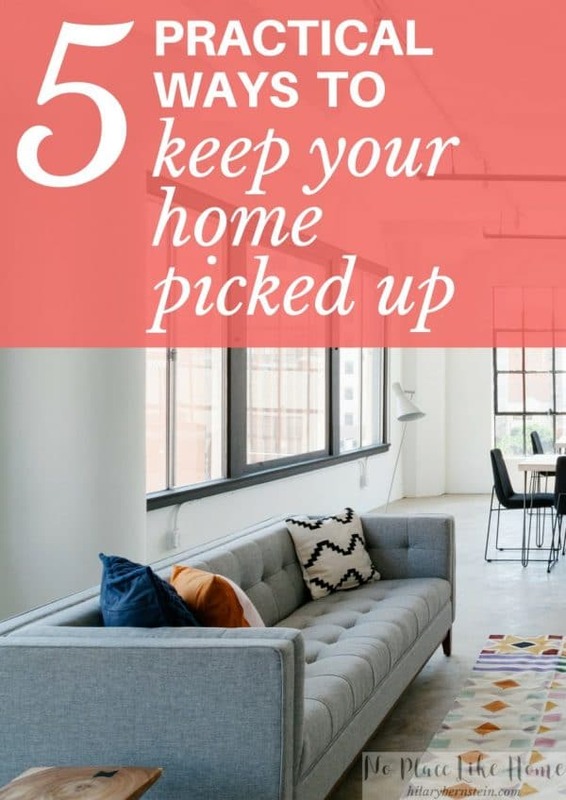 This can be as easy as everyone taking their belongings to their bedrooms during our daily pick-up, but it also can involve giving particular chores to everyone in the family. 4. Plan on a homemaking reset day every six weeks. Even by picking up every day, your home still will need deep cleaned again. Closets will start to get cluttered, and cabinets and drawers will turn messy. About every six weeks, I’ve found it’s helpful to set aside a day or two for a homemaking reset day. On those days, I work on deep cleaning any area that’s out of control. I clean out closets, straighten drawers, put away any paper clutter that’s hanging around, and work on any chores that have been building up. 5. Schedule bi-annual deep cleaning chores. Even with daily pick-ups and homemaking reset days every six weeks, my house still gets dirty. So every fall and spring I dig in and deep clean my home. These are the times when I tackle my dirtiest, grimiest cleaning chores. By deep cleaning throughout the year, my home isn’t so dirty and my deep cleaning job doesn’t take so long. By setting aside certain times of your day and year for maintenance cleaning, it’s easier to keep your home picked up … and keep everything nice and clean. What are some practical ways you keep your home picked up? Good thoughts! I have a couple times a day we do “quick clean ups” and everyone has to help clean up toys, etc. It definitely helps our home never become a complete wreck!! I have a small decorative bin in each living area except the kitchen. Everyday before dinner all toys go in these bins in each room. Every Saturday the bins get cleaned out and toys go back in my 6 yr olds bedroom. This is a fast way to pick up when you have little ones. I don’t know why I haven’t used this idea before, but I LOVE it! Thanks for sharing, Jean!